When Wolverine begins experiencing blackouts and waking up covered in human remains, he sets out to unravel the dark mystery behind a gruesome, nationwide series of murders and find the man who is tinkering inside his head. But when a witness fingers Wolverine as the monster responsible for the lobotomized corpses, Wolverine hunts down the man he believes responsible: psychopathic psychologist Dr. Rot! Delve into the treacherous depths of Wolverine's tortured mind as the mad doctor exploits his years of psychological trauma to bring the hero to his knees! 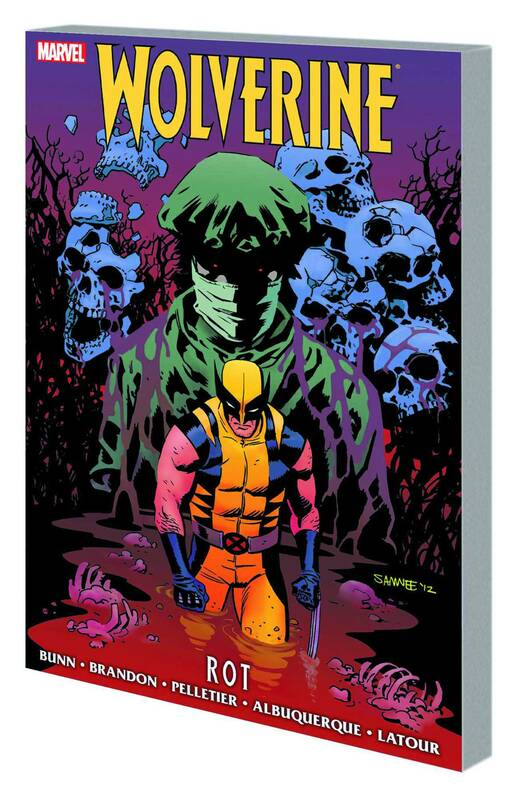 When Rot's brutal brain surgery reverts Wolverine to a stone-cold killing machine, can he break the doctor's hold over his mind before he hurts his loved ones and loses everything? Plus: an untold tale of Wolverine as he takes former X-Force member Elixir under his wing! Collecting WOLVERINE (1988) #305-309.